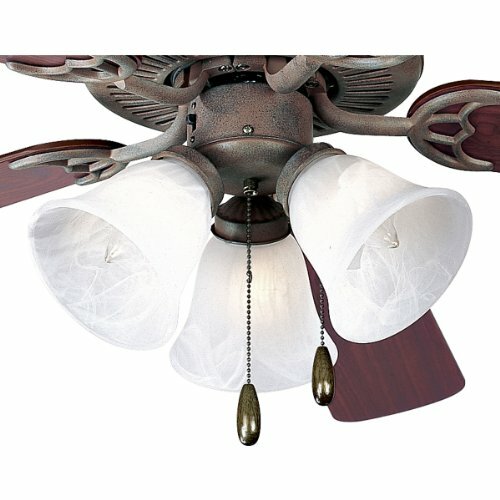 P2600-33 Finish: Cobblestone Features: -Ceiling fan light kit.-Material: Glass.-Three-light ceiling fan light fixture.-Spring clip glass attachment and quick-connect wiring.-For use with P2500 and P2501 ceiling fans only. Specifications: -Required: Three medium base lamps, 60Watt max. Dimensions: -Overall dimensions: 6.625'' H x 15'' W. Collection: -AirPro collection.